Want to get into the spirit? 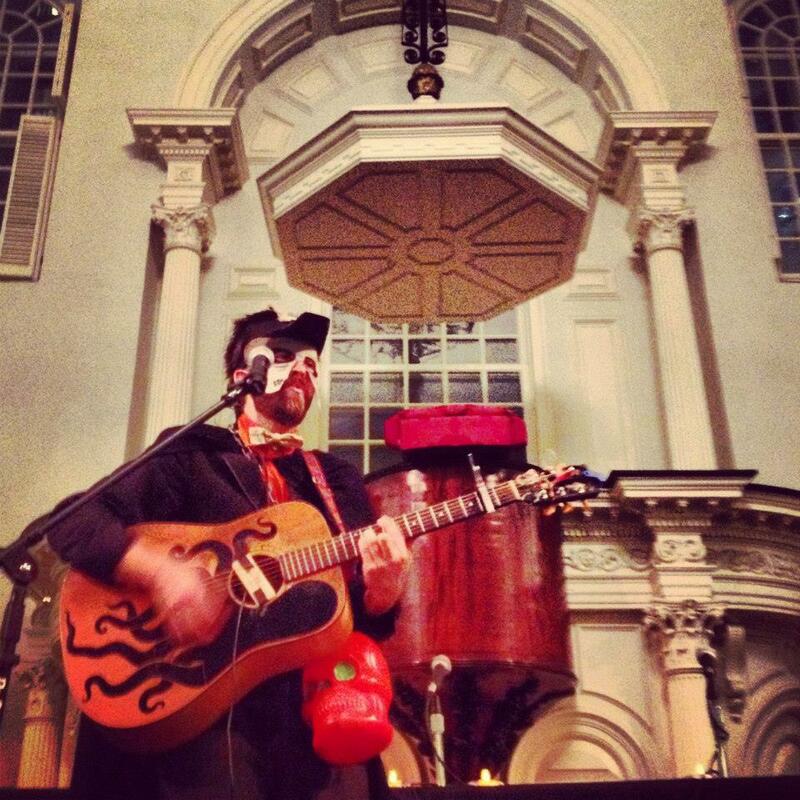 The Cambridge Haunts crew, on hiatus until Friday, September 21 to prepare for the super-busy Halloween season, enjoyed a spooky evening at the "Ghosts of Boston: Haunts of the Hub" book launch event at the Old South Meeting House. Adam Berry, who was on assignment with Syfy's Ghost Hunters in Upstate New York and a paranormal resource for the Cambridge Haunts script, drove in and joined the festivities at what is considered the epicenter of the country's Freedom of Speech movement. Ben Franklin was baptized in this building. 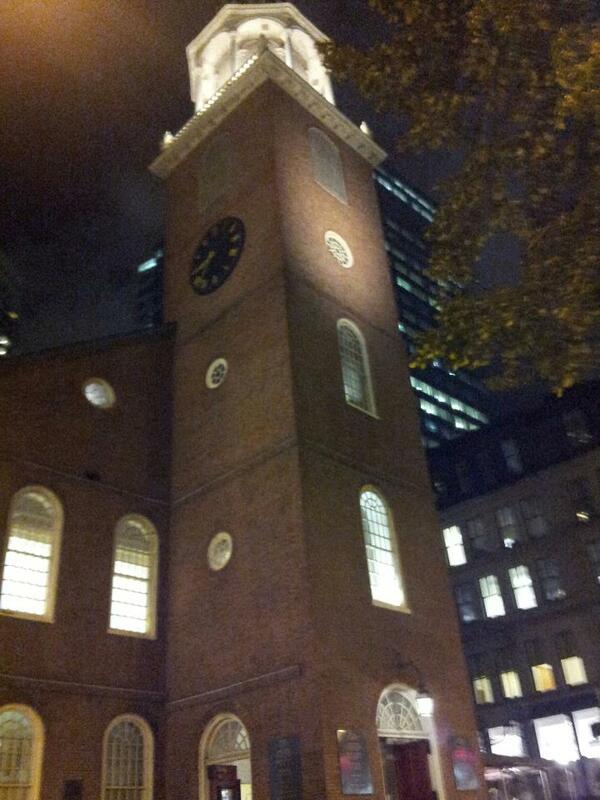 It's also the birthplace of the American Revolution. 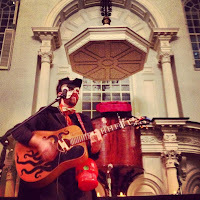 The tour's poster illustrator Dan Blakeslee, performing as the ghastly Dr. Gasp, kicked off the evening with his Halloween-inspired acoustic set. Comedian Jim Lauletta introduced author Sam Baltrusis. Scott Trainito and Mike Baker, the lead investigators of Para-Boston, kicked off the panel discussion and gave a scientific spin on alleged paranormal activity in the historic building and chatted about their approach to investigating. Their findings? The Para-Boston team did record an EVP (electromagnetic voice phenomenon) of a male voice saying, "Who's there?" 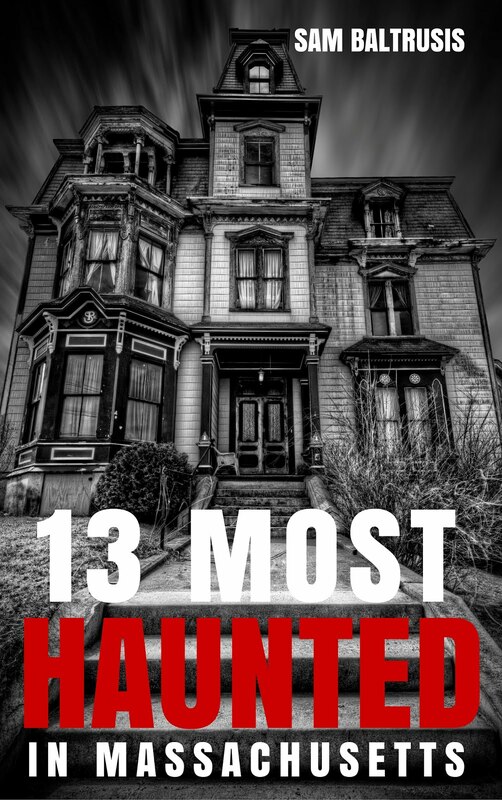 There were also first-hand accounts of chains rattling in the lower area of the OSMH and a bizarre recording anomaly coming from the building's steeple. Any evidence of the so-called Revolutionary War-era horse spirit lingering in the building? Naaaay .. or is it "neigghhhh." Of course, the EVP could have been an undead Mr. Ed. However, several visitors to the building have reported smelling hay and one woman who recently tied the knot in the Old South Meeting House said she had a close encounter with the horse spirit. For the record, the Redcoats ransacked the building during the Revolutionary War and used it as a horse stable and riding school for British soldiers. George Washington walked by the building during the late 1700s and was extremely unhappy with how the Brits desecrated this important landmark. Jeffrey Doucette, a tour guide with Haunted Boston, discussed his experiences with the supernatural in the Boston Common and Adam Berry, who was escorted to the stage by Cambridge Haunts tour guide and performer Ashley Michelle, chatted about a close encounter with a school spirit at his Boston Conservatory dorm. 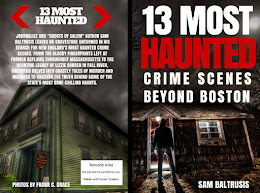 Over the weekend, "Ghosts of Boston: Haunts of the Hub" ranked #42 on Amazon's Folklore & Mythology best seller list. Click here to check out the buzzworthy book. 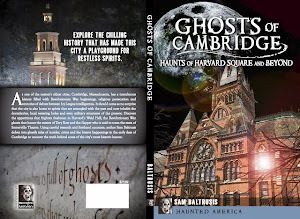 Also, there are several slots open this weekend with the Cambridge Haunts: Harvard Square Ghost Tour. Book now ... if you dare.